Looking back on 2016 and forward to 2017, trends in foods and beverages are nearly mirror images — indicating that what consumers want transcends fad and is integral to supporting their lifestyles. A leading motivator for food and beverage choices is healthful benefits, with consumers largely keying in on protein content. Grande Custom Ingredients Group’s dairy-based whey protein ingredients are innovative solutions for boosting protein and improving texture — without disrupting flavor or driving up costs. Clean Labels: Clean and clear labeling is more than a matter of legislative compliance. It reflects consumers’ demand for transparency in ingredients and throughout the supply chain. Clean labeling requires you to keep it simple, and nothing is easier than using the natural goodness of Grande Custom Ingredients Group’s whey protein products. 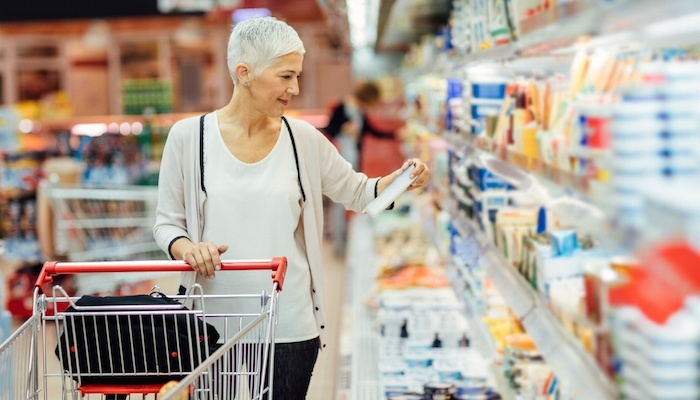 Calorie Cuts: Food and beverages that deliver indulgent experiences with fewer calories are often met with consumer skepticism, but the low fat/low calorie demand is a mainstay especially as the FDA steps up its focus on certain ingredients. However, fewer calories doesn’t mean less taste or unsatisfying textures when the tradeoff is boosting protein using natural whey protein ingredients. Plant Growth: Plant-based milks and meat alternatives are being embraced for their inherent nutritional value by vegetarians and carnivores alike, and that shift is causing consumers to re-examine protein sources. However, natural diets aren’t bereft of the need for soups, sauces, dips and spreads. Striking a healthy balance calls for innovation, like the reduced-fat and -calorie formulations made with Grande Bravo® functional whey proteins; beverages that include Grande Ultra® whey protein isolate are also a protein-punched complement to plant-based choices. Meal Times: Food and beverages must do more than nourish. They must fit into consumers’ schedules, the hectic pace of which is redefining “meal time” from traditional morning/noon/night schedules to what experts call “specific consumption occasions” which is a hybrid of meals and snacking — in the office, at school, and the ever-popular grab-and-go. Grande WPCrisp® Whey Protein Crisps can easily pack protein into trail mixes, snack bars and other on-the-go options, making them attractive choices for consumers. The trends for the upcoming year demonstrate consumers’ continued commitment to healthy and active lifestyles, and reflect opportunities for natural whey protein to make positive impacts in nutrition, cost savings and food safety. Learn more in our Top 10 Reasons to Use Whey Protein tip sheet. Click the button below to download your free copy!